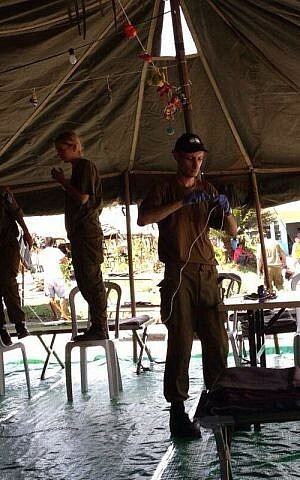 The Israel Defense Forces emergency medical team has left the Philippines, 11 days after arriving there to aid typhoon victims. 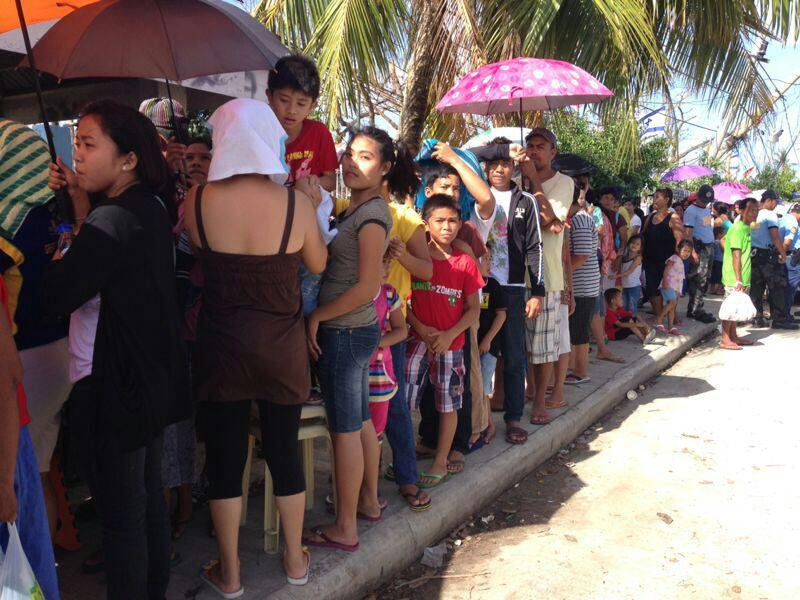 The 148-person medical team vacated the IDF’s emergency field hospital in Bogo City on Monday after treating more than 2,600 patients, including 800 children. The team also conducted 52 surgeries and delivered 36 babies. A European Union delegation replaced the IDF team, which left behind a range of medical supplies, including an X-ray machine and equipment for the delivery of newborns. Typhoon Haiyan struck the Philippines on November 8, leaving at least 5,000 dead. 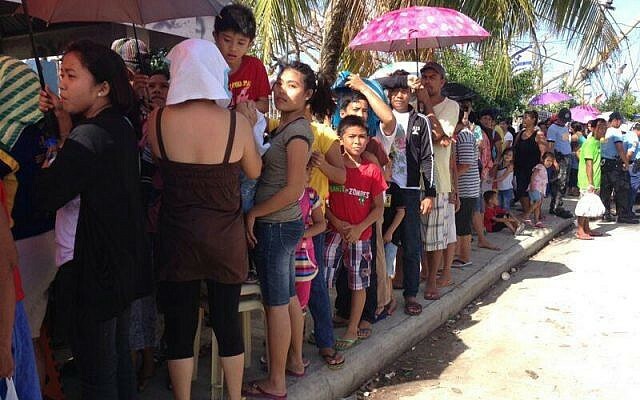 The Israeli field hospital in Bogo City, on the island of Cebu, became the central medical facility in that part of the typhoon-torn region, serving a population of 250,000 and treating upwards of 300 patients per day, the manager of the IDF’s field hospital said last week. 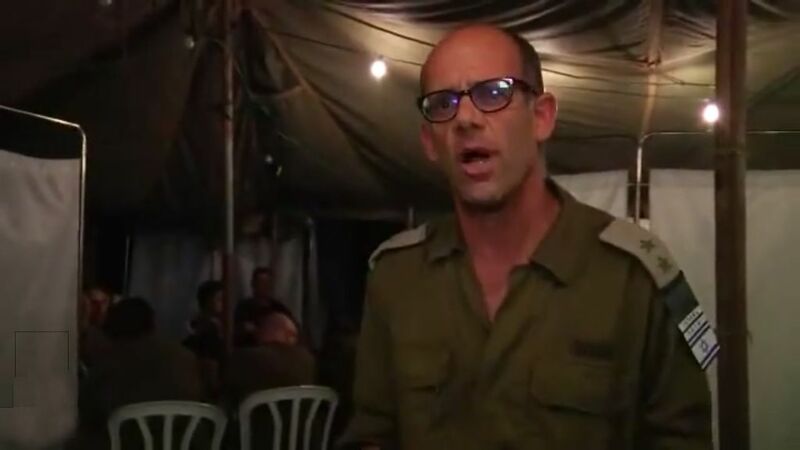 Lt. Col. (res) Dr. Ofer Merin, a heart surgeon who otherwise serves as deputy director of the Shaare Zedek Medical Center in Jerusalem, said that Israel’s scout team, sent to the country last week, had decided to establish the field hospital in a remote area that lacked medical facilities. “We established our field hospital here, in Bogo City, alongside a hospital that usually has two-three physicians per shift,” Merin said. The hospital serves a city of nearly 80,000 people and an island of 250,000, and Merin said he had not seen any other international medical teams in the region. The IDF rescue and relief team arrived in the country a week after Typhoon Haiyan tore through the Philippine archipelago, killing at least 4,000 people and leaving over 600,000 homeless and millions of others without basic supplies. Merin called it a multidisciplinary hospital, equipped with an operating room, an X-ray machine and incubators for pre-term babies. The staff were seeing three distinct groups of patients, he said. The bulk of them suffer from injuries sustained as a direct result of the typhoon. “They suffered from what we, in the Western world, would call minor injuries,” Merin explained. “But these injuries, left untreated, can cause secondary infections.” Therefore, the cleaning of wounds and administration of simple antibiotics were having life-saving effects. The second group included those who were suffering from diseases that had been under control before the typhoon struck. 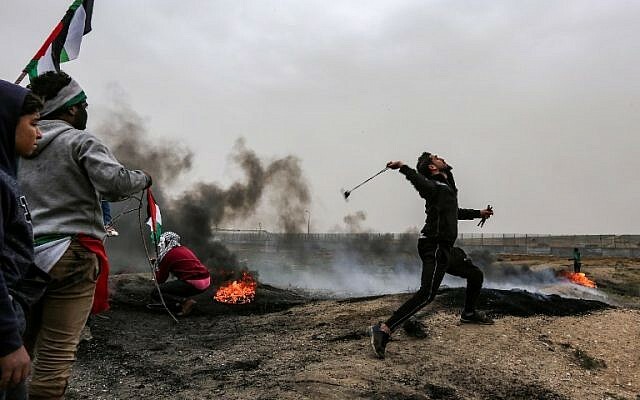 “The lack of running water, the lack of electricity and the lack of medical treatment pushed the chronic illnesses and the more-or-less stable diseases out of control,” he said. And finally, there were those who have suffered from diseases that have gone untreated for years, manifesting in the sort of advanced-stage cancer, for instance, that is seldom seen in hospitals in Israel. The team of medical professionals and support staff managed to mobilize and begin working with exceptional speed. 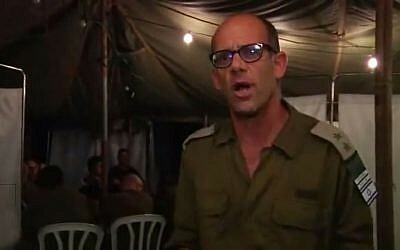 Merin attributed that to the nature of the team, which deploys as a military unit and is therefore bound by a firm protocol and backed by a large organization; to the fact that the IDF always sends a scout team to the stricken country, which enabled the medical crew to begin working within six to seven hours of arrival; and to the mindset of the medical staff and logistics officers, who serve in the IDF Home Front Command. “I think it is also a question of the mentality we have. 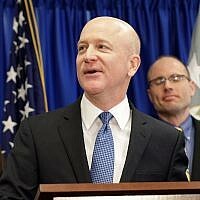 We all know that when there is a disaster — wherever it happens in the world — everyone is ready to drop everything and come and assist wherever we are needed,” he said, adding that the unit trains once a year for precisely such scenarios and has had extensive experience, stretching back to the early 1980s and most recently in Haiti in 2010 and Japan in 2011. Offering an example of this sort of commitment, Lt. Libby Weiss, a spokesperson for the IDF, said that Master Sergeant Eli Attias, a logistics NCO currently serving in the field hospital, got married two days before the deployment, but had chosen nonetheless to join the team.